How DevSecOps can keep you '1 Step Ahead' with Application Security?How DevSecOps can keep you '1 Step Ahead' with Application Security?How DevSecOps can keep you '1 Step Ahead' with Application Security? How DevSecOps can keep you ‘1 Step Ahead’ with Application Security? Evaluating the current digital and online transactions scenario, one can confidently state that every enterprise of varying sizes is gearing up to fix security gaps within their applications. Security Testing is definitely the way out, but organizations are exploring inventive ways to deal with the burgeoning security challenges. DevSecOps has emerged as a methodological pattern to deal with security issues and speed up the software development cycle. 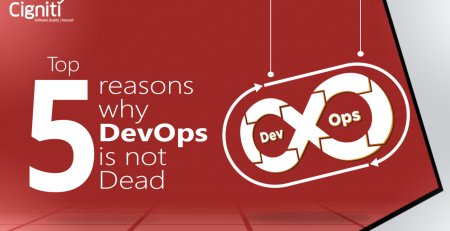 DevOps enables source code control of the software applications that run within the data center. The code is protected by firewall, which makes the application stable and protects it from any kind of intrusion. With DevSecOps, Security is brought in well ahead in the development cycle. Similar to the DevOps methodology, the testing is continuous, with capabilities of continuous integration. The need for DevSecOps has emerged to respond to the bottleneck created by older security models, which slows down the continuous delivery cycle. Hence, the objective is to reduce the gap between IT and security and at the same time ensure fast and secure delivery of code. The ultimate idea is to boost communication and share responsibility for all security tasks while working through the delivery process. DevSecOps enables teams to attain two opposing goals – ‘pace up the delivery cycle’ along with a ‘secure code’. Both these objectives normally take an opposing route, as today application development has to be done at utmost speed, but security cannot be rushed into as well. This creates a challenging dilemma for many. Within the DevSecOps cycle, security testing is done within iterations without disrupting the delivery cycles. In this way, critical security issues are managed and any potential threat is eliminated. Code Analysis, implies delivering code within smaller fragments that helps in identifying the security gaps quickly. Change Management that enables anyone to submit the changes for evaluation. Compliance Monitoring that supports the team to stay alert for any possible audits or compliance evaluations. Threat identification that enables teams to identify potential emerging threats and stay responsive to alterations. Vulnerability Assessment and Security training helps teams to diagnose the applications for possible threats and boosts the need for better training and preparedness. In this way, the Security Engineers are able to follow the guidelines and gear up for the required changes. These components somehow sum up the importance of DevSecOps for ensuring an application’s security. Apart from ensuring security of the application, DevSecOps has some intrinsic benefits in the application development process. These benefits enable teams to stay ahead and ensure a secure interface for their application. How DevSecOps makes a difference? Bursell added that a good devsecops approach brings together tools, process and culture. “Engaging your security experts, making them part of the team and getting them to embed their various areas of knowledge into the process allows you to automate security into your Devops model in a way that everyone benefits from their expertise,” he added. When Security gets incorporated within the development cycle, major or minor threats are identified way ahead. This ensures that time is not consumed towards the end and no security gaps go unnoticed. 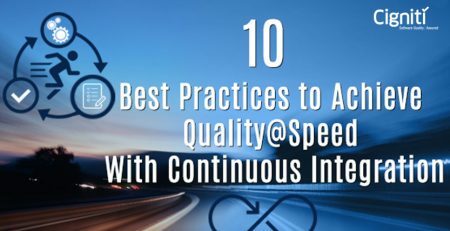 Moreover, the idea of continuous delivery also brings agility in the software development process. This overall ensures that all security aspects are managed effectively and the pace of delivery is maintained. DevSecOps with its methodologies and guidelines helps to create an ecosystem that can deal with changes or respond confidently to unforeseen changes. This defies the traditional mode of development that couldn’t deal with last minute changes. Threats for an application cannot come in a planned mode, hence, teams have to build their systems accordingly and stay alert proactively. The core essentials of DevOps is collaboration and communication amongst teams, which is equally valued in a DevSecOps mode as well. Hence, vulnerabilities are effectively identified and managed while ensuring transparency within the team members. Automation of tests is essentially the most critical and inseparable aspect of Quality Assurance. DevSecOps gives the opportunity to execute automated builds, which supports the quality assurance process. 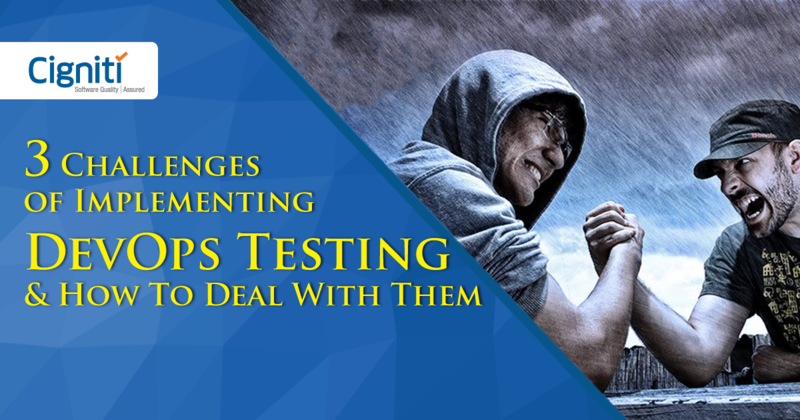 In this way, team members are free to work on critical aspects rather than getting stuck with regular testing tasks. Cigniti possesses rich expertise in Security Testing of enterprise applications, catering to diversified business needs. Cigniti has immense experience in serving clients across different industry verticals and organization sizes. Our Web application penetration testing uncovers vulnerabilities in applications and ensures the application risks are minimized. Connect with us to leverage our dedicated Security Testing Center of Excellence (TCoE) that has developed methodologies, processes, templates, checklists, and guidelines for web applications, software products, networks, and cloud.